Imagine walking out of your backyard to a 6+ acre lake and island with a land bridge for your enjoyment! 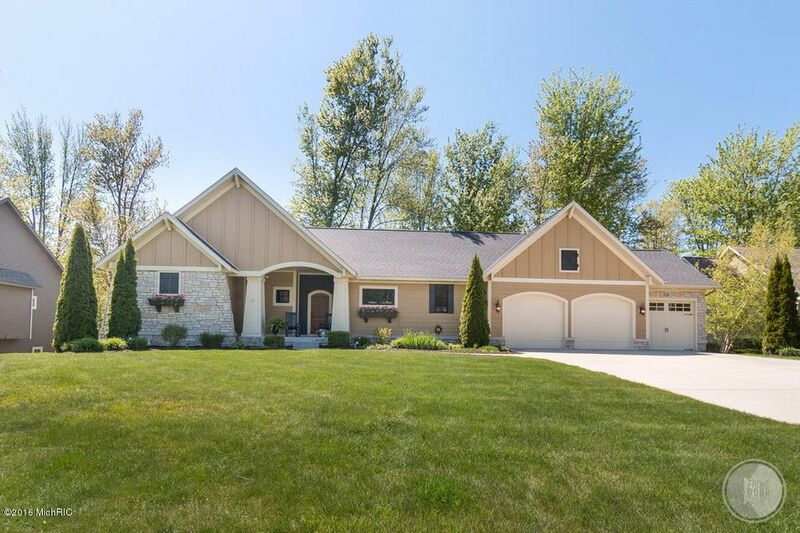 Custom built Troxle home in the beautiful neighborhood of Pine Island. The 3 Bedroom, 2.5 Bathroom home is full of little details that make a huge impact. The custom kitchen is complete with beautiful cabinetry and a butler pantry. Wood floors throughout the kitchen, dining room and entryway are protected by the dark tinted windows which also save money on utilities! Enjoy the lake view from the screened in porch, back deck, and/or lower level pergola. 75' of frontage directly across the lake is not to be built on, so you can enjoy the wooded surroundings. The lower level is a walk-out and features indoor/unfinished storage space for the purpose of outdoor accessories.